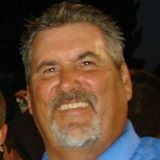 WELCOME TO ALL SOUTHLAND HOME INSPECTION'S WEBSITE. WE SPECIALIZE IN THE PRE-PURCHASE EVALUATION OF SINGLE AND MULTI-FAMILY HOMES. WE STRIVE TO PROVIDE THE HOME BUYER WITH A LEVEL OF SERVICE THAT MATCHES THE SIGNIFICANCE OF THE PURCHASE THEY ARE ABOUT TO MAKE -IN ALL PROBABILITY THE SINGLE LARGEST INVESTMENT OF THEIR LIVES. WITH EVERY INSPECTION COMES YEARS OF EDUCATION, TRAINING AND PROFESSIONAL EXPERIENCE. YOUR HOME INSPECTOR WILL SHARE THIS SPECIAL KNOWLEDGE WITH THE HOME BUYER TO ENSURE THAT THEIR INVESTMENT DECISION IS AN INFORMED ONE. TO AVOID ANY PERCEIVED CONFLICT OF INTEREST, ALL SOUTHLAND HOME INSPECTION DOES NOT PERFORM ANY CORRECTIVE OR REPAIR WORK ON THE HOMES THAT WE INSPECT, NOR WILL WE REFER ANY REPAIR WORK TO OTHERS. WE ARE NOT ALIGNED OR AFFILIATED WITH ANY REAL ESTATE COMPANIES OR BROKERAGE FIRMS. 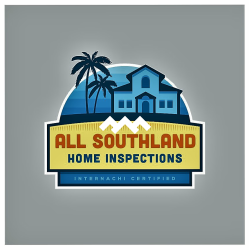 ALL SOUTHLAND HOME INSPECTION UNDERSTANDS THAT YOU MAY HAVE WORRIES OR CONCERNS. DON'T WORRY, WE WILL STAY AND TALK WITH YOU, ANSWER ALL YOUR QUESTION, REFER PROFESSIONALS AND BE THERE WHEN YOU NEED ANSWERS. CHOOSING THE RIGHT HOME INSPECTOR CAN BE DIFFICULT. UNLIKE MOST PROFESSIONALS YOU HIRE, YOU PROBABLY WON'T MEET ME UNTIL OUR APPOINTMENT. FURTHERMORE, DIFFERENT INSPECTORS HAVE VARYING QUALIFICATIONS, EQUIPMENT, EXPERIENCE, REPORTING METHODS, AND PRICING. ULTIMATELY, A THOROUGH HOME INSPECTION DEPENDS HEAVILY ON THE INDIVIDUAL INSPECTOR'S OWN EFFORT. IF YOU HONOR ME BY PERMITTING ME TO INSPECT YOUR NEW HOME, I GUARANTEE THAT I WILL GIVE YOU MY VERY BEST EFFORT. THIS I PROMISE YOU.